Noida is flourishing in real estate development. Well this area is fulfilling all the requirements which are needed for modern and peaceful living standards. Malls, offices, commercial spaces and residential spaces are becoming popular in both Noida and Greater Noida. With the coming of aqua line metro which connects Noida and Greater Noida has made a great impact on properties especially residential property. The route of aqua line metro starts from Sector 71 in Noida and will end at Sector Delta I in Greater Noida. It will cover 15 stations in Noida and 6 in Greater Noida which covers most of the parts of Noida and Greater Noida. Well with the coming of the metro not only ease the travelling and saves time but also increases the rates of property near metro station. 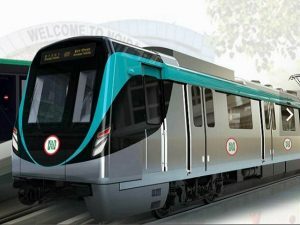 Aqua line metro proved to beneficial not only for the people living in Noida and Greater Noida but also, for the people who travel from NCR to Noida for office purposes. Among the luxury projects in Noida Expressway, ACE Golfshire by ACE is one of the luxurious modern living space for the people who want to live in luxury. The project offers 2 and 3 BHK lavish apartments in sector 150 Noida. So, there is no need to worry about connectivity and location as aqua line covers most of the parts of Noida and Greater Noida. So, make your life smooth and enjoy the endless benefits offered by Noida.